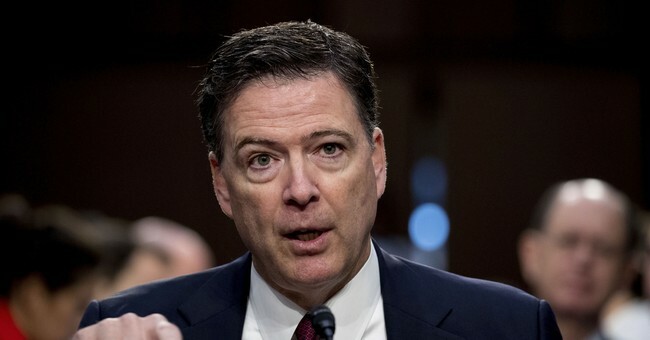 Former FBI Director James Comey has finally agreed to privately testify in front of the House Judiciary Committee. His decision comes after nearly a week of negotiations over a subpoena for him to do so. Mr. Comey should agree to these terms and see that we have the same purpose, which is to find the truth and seek transparency. In order to do so, he must appear before the Committees and answer our questions. James Comey is withdrawing his motion to quash his House subpoena. His legal team says that they’ve “reached an acceptable accommodation” with the House. During a court hearing last week, Comey's legal team challenged the subpoena and asked for it to be dismissed. Due to a lack of legitimate legal argument to get the subpoena thrown out, attorneys ultimately told the judge to "make law." Earlier this year, Comey was referred to the Department of Justice and FBI for criminal investigation by a number of House Republicans. Fired Deputy FBI Director Andrew McCabe, former Secretary of State Hillary Clinton and former Attorney General Loretta Lynch were also referred.